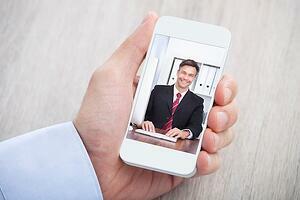 Video Conferencing System Comparison - What's Best for You? Because the face of the marketplace is changing, so are the landscapes people conduct their business. Arguably, employees can work mobile or remotely from nearly anywhere. Corporate headquarters. The branch office. Home. Starbucks. You get the picture. Speaking of pictures, video conferencing is an easy, streamlined way of connecting people to each other no matter where they call office. Put simply, video conferencing allows workers to connect more in real-time and spend less time behind the windshield. Here's a look at the differences between web-based video calling applications and integrated video conferencing rooms. Skype, a recognized leader in video calling, was among the first providers to offer free Internet calling. WebEx, owned by Cisco, has been made popular by its webinar capabilities. It combines file and presentation sharing with voice and HD video. It can be used from any computer with an Internet connection or 3G-enabled mobile device. Lync, now known as Skype for Business, allows users to create, moderate and join pre-planned and on-the-fly audio, video and web meetings with people inside and outside your organization. In case you're wondering, Microsoft acquired Skype in 2011, and in April 2015, announced that Skype for Business would replace Lync. FaceTime, released by Apple Inc. in 2010, allows users to make video calls over Wi-Fi from their iPhone, iPad, iPod touch or Mac to another Apple device. 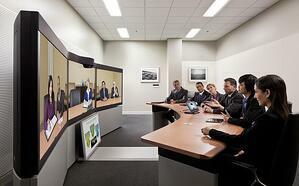 Telepresence room technology enables groups to meet and collaborate in multiple locations in real time. It goes beyond the Internet connection to combine high-definition video, real-time audio and interior design to make it feel as though you’re meeting in the same room. This video conferencing equipment can cost $30,000 to $50,000, and certainly much more. So, why is it worth the investment? Make a call by pushing a button. You don’t want to have people placing an IT ticket every time they want to make a video call. It has to be as easy as pushing a button, and integrated video conferencing equipment makes that happen. Instead of one-to-one or one-to-many, integrated video conferencing rooms are designed for video calls from a room of people to another room of people. We use our video conferencing at Marco for sales meetings, company-wide meetings and collaborations we need to do on the spot between our branch locations. Share documents as if you’re in the same room. Share presentations and handouts without losing visuals or audio of the people participating in the meeting. Participants can pass content back and forth as if they were in the same room. Increase security and quality. Security has been among the greatest concerns organizations have when using web-based platforms. While it may not matter for all meetings, it is essential for many. Integrated video conferencing equipment ensures that the calls are encrypted so the information passed back and forth through audio or video is protected. The quality of service also is better because organizations use their own dedicated lines instead of relying on limited bandwidth by the video-calling provider. 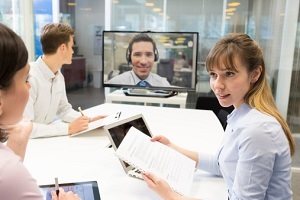 Web-based video conferencing applications are beginning to “play nice” with one another, and with integrated video conferencing spaces. Thanks to the new set of standards that have been developed, as long as the user adheres to those and has an Internet connection, they can connect with a person or group even if they are not using the same platform. That means if you have WebEx on your phone, you can connect to an integrated room as long as you have the latest video standards. With most business technology products and services, there isn’t a one-size-fits-all solution that meets universal needs. On-premise video conferencing and unified communications can be merged to create the ultimate solution for your unique business needs. One of the best features is the ability to be scalable because like business, technology is not static. Evolving workplaces and technology needs are fluid. In this downloadable, comprehensive comparison guide, you’ll see the differences and benefits of both on-premise video conferencing and unified communications.